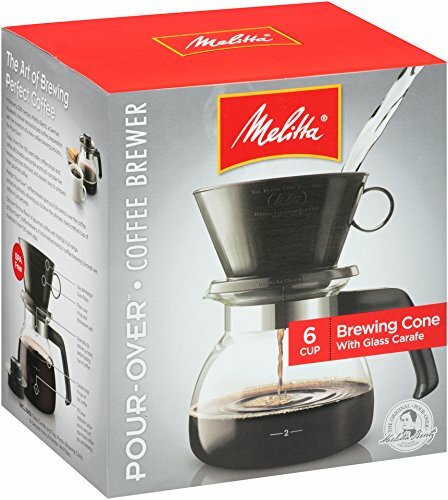 Size: 4.7 x 4.5 x 3.3 inches, 600ml capacity The coffee server features a cone-shaped design with a larger hole, and ridges. Throw in a thin paper filter and you have a brew method that encourages a finer grind and shorter brew time, producing a bright and clean cup. 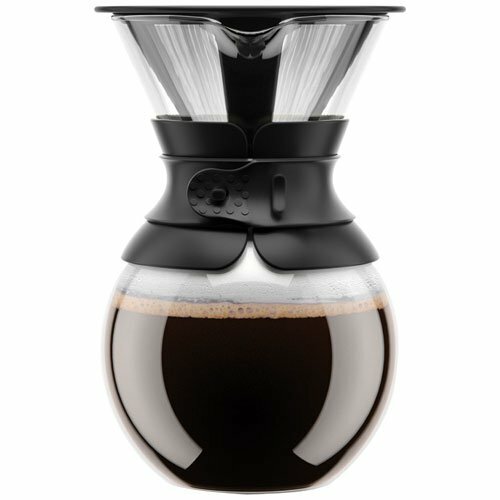 The coffee server is an ideal gift for those wanting to brew excellent coffee daily or 1-2 people! Drip-free carafe with a minimalistic design it looks good for both everydayuse and festivity. You can use it for warm and cold beverages. So why not decanter and serve wine or a warm good tea in it. It's made in borosilicate glass and the lid in stainless steel and silicone. The lid is 100% drip-free. 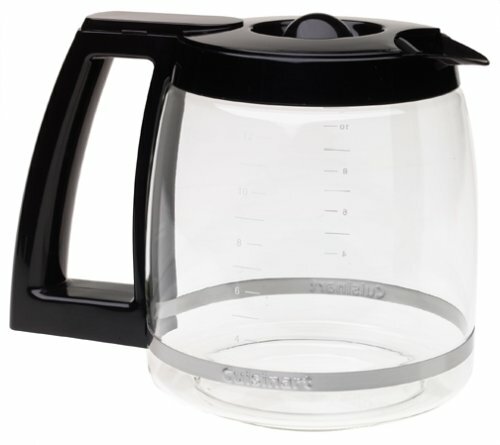 The carafe holds 50 oz and is dishwasher safe. 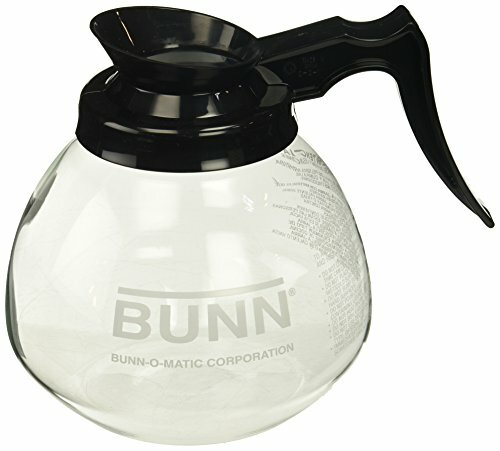 The heat resistant glass carafe has a drip-free spill proof bottle pourer. 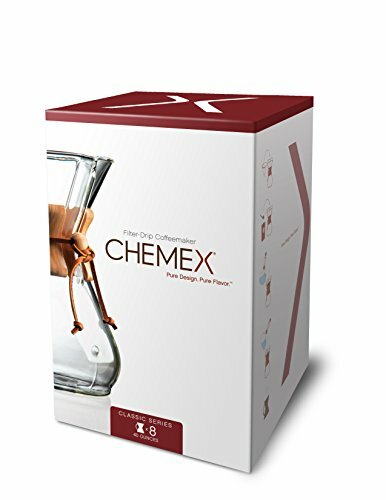 The carafe can be used for many types of beverages from water, iced tea and fruit infused juices to decanting and serving wine. Heat-resistant glass. A flip-top lid for the carafe is available separately. 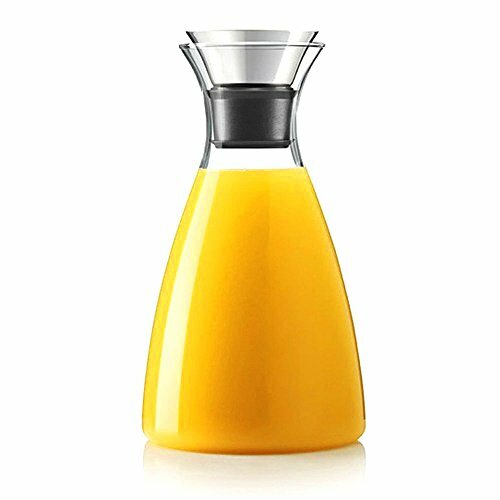 The dishwasher-safe carafe offers a simple style and solid construction, the stylish, sweeping forms of these carafes are made from heat-resistant glass, suitable for serving any kind of beverage. The innovative drip-free lid makes for easy pouring and ensuring the contents end up in your glass - not on the tablecloth, thanks to the functional pouring lip. It's a wonderful gift for Christmas, Easter, Halloween, Thanksgiving Day, New Year's Day and other holidays. 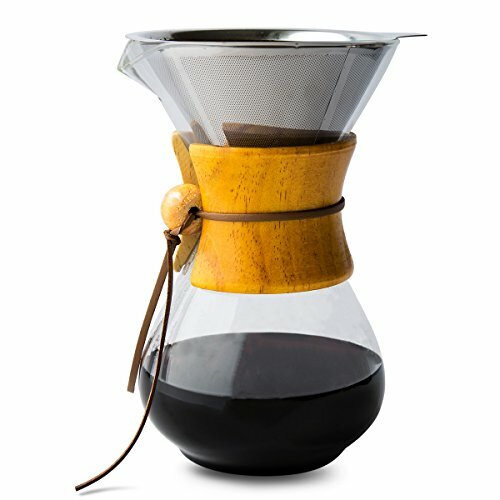 The pour over promises excellent, rich taste and robust aroma while maintaining the natural oils of the ground Coffee. For the perfect cup of Coffee, simply fill the cone-shaped filter with freshly ground Coffee and pour a small amount of heated water over them until soaked. Slowly pour the remaining hot water into the filter. 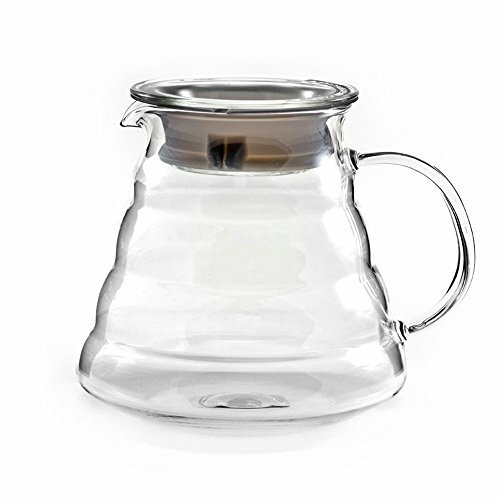 Coffee will drip into the mouth-blown, borosilicate glass carafe and, in 3-4 minutes, will be ready to serve. Remove the filter from the carafe before serving and enjoy! Set of 3 decanters, 2 black and 1 orange. 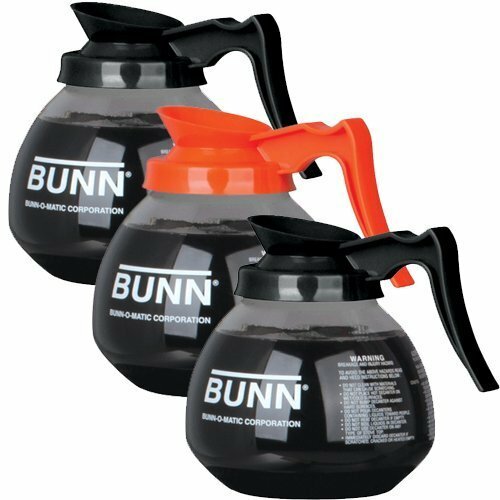 These BUNN 12-cup glass coffee decanters are designed for continuous use, serving coffee for many years. Drip-proof, fast and clean pouring from the front, assures convenient serving. The decanter is constructed of materials approved by nsf for potable water applications. -Includes a handy pot and pan scraper. Safely scrapes any cookware surface clean without scratching and it removes stubborn, baked-on messes from stainless steel, non-stick cookware or glass. A great kitchen tool offering a wide variety of uses.